Do you know a special couple that is getting married and they love, love, love cats? Or maybe they like cat themes or cute cat decorations. Either way, we have you covered with a fun and delightful selection of cat wedding gifts. Choose from fine collectibles, kitchen accessories, wall art and even a cat-themed game. There are many ways to share a love for cats with these perfect cat wedding gifts. The most fun is giving a great gift to the newlyweds and seeing them enjoy their special and thoughtful cat wedding gift. 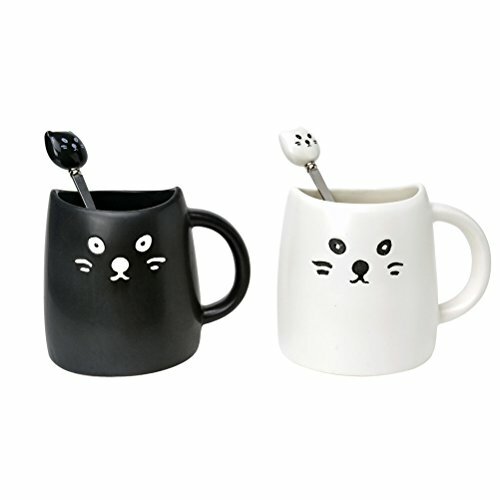 A cute as can be cat mug set, one black and one white all ready for a PURRFECT hot beverage. Don’t you love the matching cat spoons? Including the spoons makes this a super fun gift and extra special for a couple to have a set they can share. Picture them enjoying together a coffee, tea or hot chocolate in these sweet mugs. 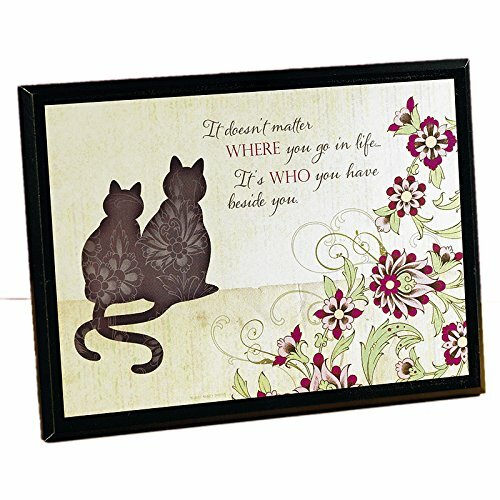 Our pick for a special and meaningful cat wedding gifts plaque that features a cat couple, which are the cutest cats side by side. The colorful flowers add the right amount of “pop’ without taking away from the message or meaning. The same pretty flower shapes are also featured on the cats in a lovely mellowed design. A dreamy plaque that the newlyweds can display anywhere they choose. Living Room, bedroom, hallway or entry area are all good choices. The best part is that it arrives ready to hang or display on a table or shelf. Beauty speaks and an expertly made and finely crafted glass figurine says it all. 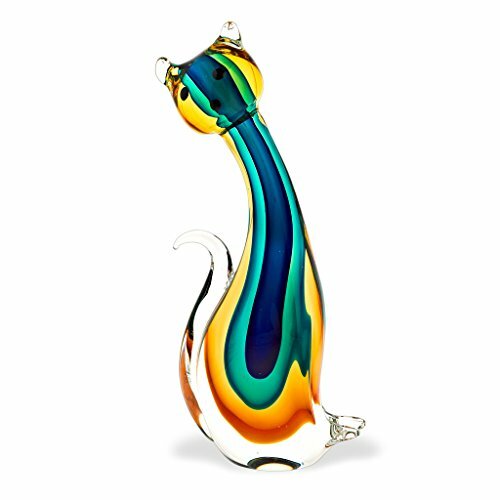 One thing is true, if the bride and groom love cats, they will adore this handsome collectible. It is smooth and sleek just like a real cat and the colors are unbelievably gorgeous. The size is very generous too, being 11 inches tall. There are so many places I could think of to display this beautiful art piece. And I know it would make any location delightfully special for the newlyweds. You won’t have to worry about what you will give the bride and groom on their wedding day when you wrap up some of these goodies. All are cat inspired and ready to be put to work as functional pieces. What’s not to like about pretty cat decor that will also double as needed household helpers? These are some of the cutest picks for cat loving bride and grooms. The cat measuring cups are the sweetest! Having a fondness for black cats is a lovely characteristic among cat lovers. 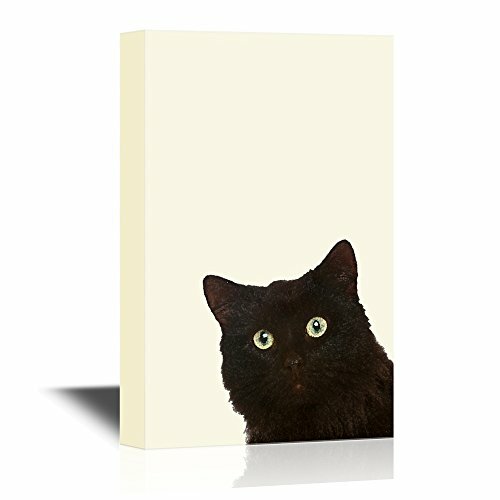 This cutie likes playing peekaboo on a beautifully printed and stretched canvas. A simple and timeless art piece that shows an all around love for cats. There is a lot of variety here when ordering. This cat themed wedding gift is available in 4 convenient sizes and several different cat prints. There is even a cat and dog print, if the newlyweds love dogs also. 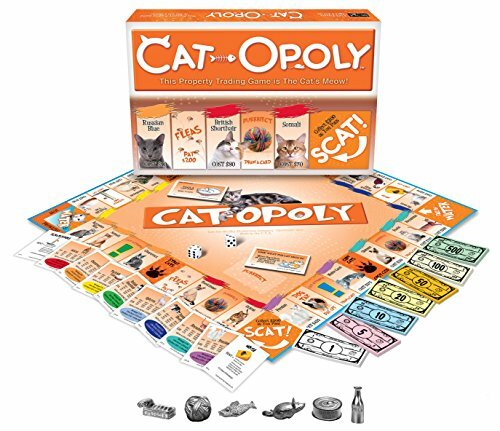 Love and learn everything about cats with this twist on the original Monopoly game. After all, the original game has been around forever, and for those who adore cats, it’s all about new fun and excitement. The Cat-opoly game would be an enjoyable addition to a new couple’s collection of games. Perfect for sharing the fun with friends and family. It plays just like regular Monopoly, but with cat references, fish bones and litter boxes.